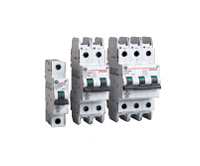 Below you can find our miniature circuit breakers with UL approval. A product that has the approval of Underwriters Laboratories (UL) has met all of UL’s safety requirements. Products that pass the muster of this company get the UL symbol of approval. Underwriters Laboratories (UL) is one of the world’s leading providers of product safety and certification testing services, performing more than 100,000 product evaluations each year. Products that pass its stringent tests become registered with the company and can bear the UL Mark, which has become a widely trusted symbol for product safety and assurance. Nearly 20 billion products from 70,000 manufacturers bear the UL Mark. Auxiliary contacts, shunt trip (Tele L) and motor operator (Tele Mp). Accessories are available for the EP60 UL and the EP100UL. See below the main features for this range.